If you work at an agency, you know how fleeting loyalty can be: establishing strong relationships with your clients is not an easy task. Agencies must stay relevant by providing their customers innovative online marketing and by constantly showing forward progress. But you already know this. What you may not yet know is how you can leverage 3rd party insights to get and keep clients and get a leg up on your competition. 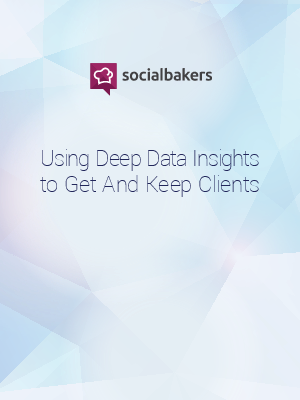 This report is designed to show you how best to utilize deep social data analytics to your advantage. Download now to find out more.